England captain Joe Root was brilliantly run out by Kohli at Edgbaston and the Indian captain mocked his opposite number with his celebration, but the hosts would be laughing last after dramatically recovering to win the first test and they have taken firm control of the second ahead of day three in London. Anderson removed opening pair Murali Vijay (0) and Lokesh Rahul (8) before Pujara was sold short by his skipper in the ninth over as India fell to 15-3. In the first over back, Kohli, off strike, refused an easy single called by Pujara. After a light shot to point from Pujara, Kohli began running to the unsafe striker's end, but soon changed his mind as he realised the risk of the situation. Fans on social media were blowing up over Kohli's role in the dismissal. 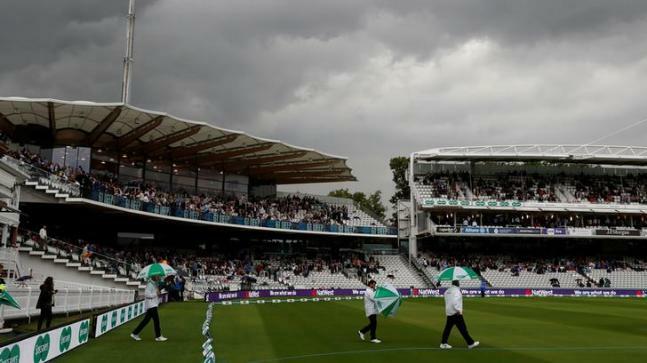 Both teams had made changes from the first Test with India making two changes from Edgbaston and opting for a twin spin bowling attack. He reached to the ball quickly which led to the mix-up between the two batsmen and ran Pujara out easily at the batsman's end. That brought debutant Ollie Pope to the crease and Surrey's talented 20-year-old showed no signs of nerves as he combined with Root to take the score to 77-2.